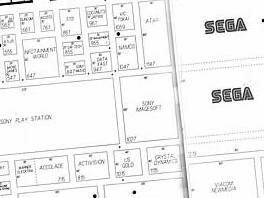 The Entertainment Software Association (ESA) is set to bring back the big, brash, full 'bells and whistles' version of the Electronic Entertainment Expo to the Los Angeles Convention Centre in June 2009. According to reports on G4 TV's X-Play this week the ESA is not planning any further attempts at a smaller, more "intimate" show – as has happened for the last two years – but instead plans to return to the huge spectacle we all knew and loved from the late 1990s and the earlier years of the Noughties. X-Play reports that "tens of thousands" of attendees will be at E3 2009.Tickets will not be sold to the public, so expect the usual slew of 14-year old website editors with dodgy 'credentials' making the pilgrimage to La La Land next year. E3 2006 was the last show that took up every inch of the massive convention centre's floor space, and was downsized due to concerns over spiraling costs from publishers, much to the chagrin of the many journalists (and 14-year old website editors with dodgy 'credentials') who found that they were not invited to attend the smaller, cut-back affairs in 2007 and 2008. The ESA is expected official announcement tomorrow. Reports currently suggest that the attendees will be capped at 40,000. Stay tuned for more on this story as it breaks, along with responses from all of the key specialist magazine editors and reps from publishers and developers.